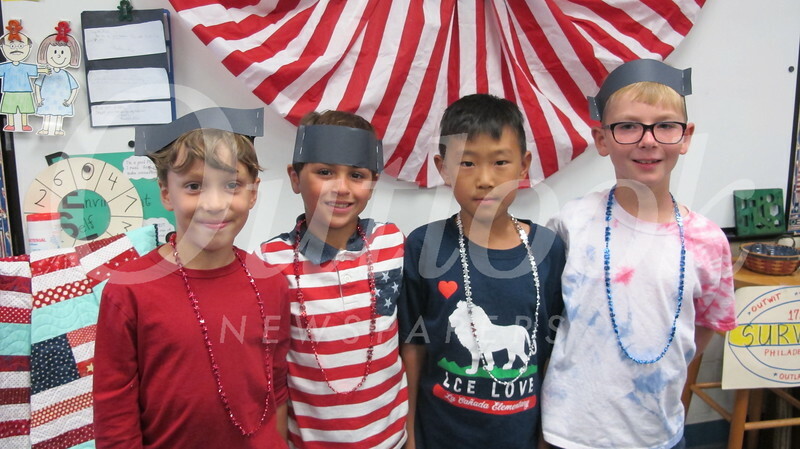 Third-graders in Deborah Pruden’s class at La Cañada Elementary School celebrated the 231st birthday of the Constitution of the United States. Students wore red, white and blue and performed a skit about the Bill of Rights and the signing of the Constitution. They also sang songs to familiar tunes, such as “Frozen” and “Jersey Boys,” among others. It was a fun, patriotic day.